You Are Here: Home > Why Buy a Jeep? If you’re considering a new SUV, there are a few boxes on your list that you absolutely have to check off; capability, space, and style are all must-haves. To find all of the qualities you’re after in one place, look no further than the inventory at our Manchester area Jeep dealership. From their military roots to their fanatical modern following, Jeep vehicles appeal to drivers in ways that few SUVs can. Just check out some of our favorite qualities that set Jeep apart from the herd! When you choose a Jeep, no one’s going to ask you what you drive–they already know! From the compact Renegade to the classic Wrangler, the Jeep lineup shares trail-inspired DNA that makes each of these SUVs instantly recognizable. The iconic seven-slot grille is a living legend. Each model in the Jeep lineup comes from the same strong stock, but no two nameplates are quite alike. Whether you’re planning to fling up some mud on the back roads or head out for a (presumably mud-free) night on the town, there’s a Jeep that will get you where you want to go with style and confidence. Of course, the common thread through the Jeep family tree is capability. Sophisticated models like the stylish Grand Cherokee or competitively priced vehicles like the Compass still hold true to Jeep’s legendary 4×4 performance, giving them what they need to deliver on the steadfast performance you deserve in any weather. This is true among both the new and used Jeeps you’ll find here at our Manchester area dealership. Perhaps the best thing about a new Jeep is that you can get it exactly the way you want it! Looking for a bare bones off-road machine to get you back to basics? We’ve got what you’re after. Looking for a luxuriously appointed SUV that brings advanced tech and the comforts of home along for the ride? We’ve got those, too. When you choose Jeep as the brand for you, you’re joining a collection of drivers who know what they want and exactly how to get it.  To learn more about the Jeep brand and the latest Jeep models, be sure to contact Contemporary Automotive by calling (844) 500-6722. We can’t wait to have you in for a test drive!